Compromise has been the undoing of Israel for more than 3,000 years. Compromise has been the downfall of man since the Garden of Eden. Compromise has nearly brought America to her knees, and compromise would cause the demise of Israel if its leaders were to do so at a negotiating table instead of standing for what is rightfully already theirs. The Lord told Israel that “He is the faithful God who keeps His covenant and mercy with those who love Him and keep His commandments, to a thousand generations,” (Deuteronomy 7:9). He is faithful. He does not turn to the right or to the left. He does not compromise. He called Israel out from among the nations of the earth to show the world how He expects us to live for Him without compromise. In the New Testament, Paul reminded the Corinthians that “a little leaven leavens the whole lump” (I Corinthians 5:6). In other words, do not compromise. News commentators and Bible scholars will debate whether Israel’s boundaries are legal or biblical. They can debate all they want. The fact remains that a remnant of Israel has come back to dwell in the land just as the Lord said they would near the end of this present age. The nation of Israel of Israel is evidence that the Lord means what He says and that He does not compromise. Want more proof that God wants obedience without compromise? Ask Cain. Ask Lot’s wife. We don’t know which way she turned, but the fact is that she did. Ask King Saul who lost his kingship because he thought it okay to usurp the office of priest. There is a long list of people who turned to the right or the left, thinking that it would not matter. 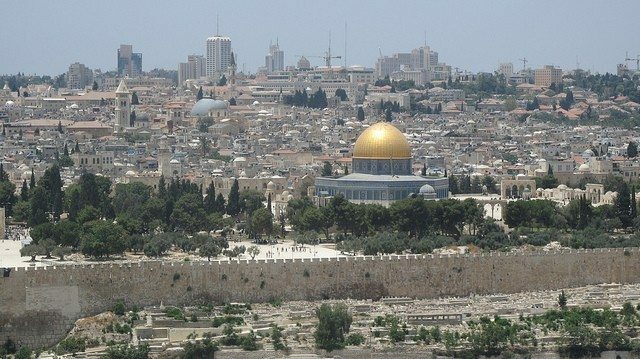 Right here, right now, in 2015, it is no more right for Israel to compromise regarding her existence in her current location that it ever has been. The Bible is quite clear that God is going to expand Israel’s borders. Why would Israel be willing to barter land for peace? The land is rightfully theirs, and they will eventually have it all. We believe that Israel must remain strategically strong. In order to do so, she must not diminish her ability to defend herself by compromising with her avowed enemies in order to gain a fleeting semblance of peace. Ultimately, her strength is in the Lord and ultimately she will bow before Him in worship. Despite all the tensions and turmoil in the Middle East, He will ultimately deliver His chosen people. This is not the time for Israel to compromise. The reality is that there has never been nor will there be a time for he to do so. Pray for the peace of Jerusalem (Psalm 122:6) and that the Jewish people will turn to the God who loves them and see Him bring their redemption. Stand with us as Bible-believers who understand that there is no compromise with the truth of the Word of God.